Research the trails and plan for your skill level. 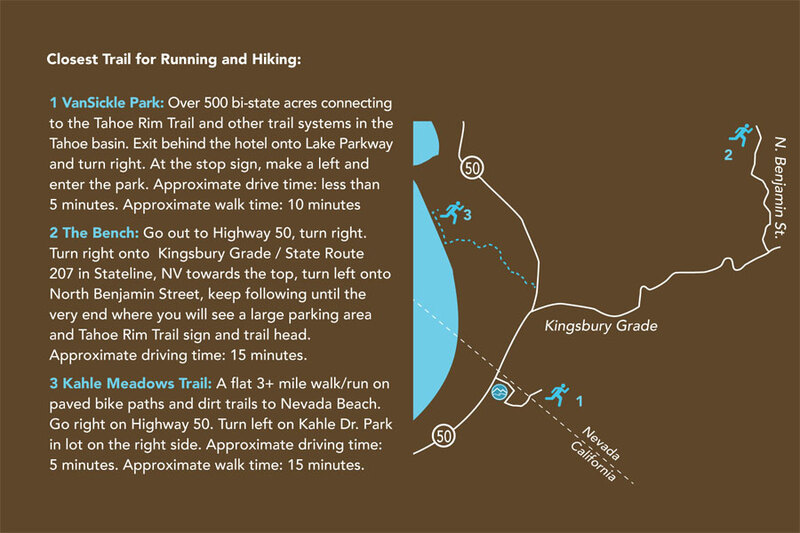 From the Tahoe Rim Trail to Eagle Falls, every trail is special and has different things to offer runners and hikers. With that in mind, take time to do your research and consider your skill level and experience. If you’re not an experienced hiker, or you’re hiking with kids, a short and flatter trail may be your best option. If you’re used to difficult trails, then something with a little steeper elevation may be of interest. You may also want to take some time to train and get in shape before making the trip and heading out on a hike. To learn more about the hiking and running trails in the South Tahoe area, you can talk to our staff — many of whom are hikers and runners themselves! We can help point you in the right direction once you’re here and share some insights about the various trails in the area. Trust us — you’ll definitely want to capture all the beautiful, breathtaking views and amazing wildlife along your hike. That means you’ll need your phone or digital camera. Take some time to make sure it’s fully charged and ready to go so you don’t miss the perfect, once-in-a-lifetime shot. If you’re into professional or amateur photography, be sure to check in with our staff for recommendations on some of the most photo-worthy spots. You may also want to consider doing a photography tour around the area. This one is almost a no brainer. Be sure to keep an eye on the weather leading up to your trip and before heading out on your hike so you can plan and pack accordingly. You don’t want to have to cut your hike short due to unexpected rain or cold temperatures. It’s easy to check ahead of time and throw a rain poncho or extra sweatshirt in your bag before heading out — just in case! Layers and comfy shoes are a must. Wearing the right clothing is key to a successful hike. Temperatures can vary at different points during the day and whether or not you’re in shady or open areas, so you’ll want to wear layers so that you can easily add or remove clothing as needed. Breathable, sweat-wicking fabrics are also great options. For shoes, be sure they have good support and are properly laced up and broken in. You’ll be able to go further and your feet will thank you at the end of the day! The numerous bright, sunny days in Lake Tahoe are great for hiking, but you want to protect your skin whenever you’re spending time outdoors. We recommend using a moisturizer and sunscreen on any exposed areas — and reapplying frequently as you sweat and it wears off. Hats, visors, and sunglasses are also great for protecting your head and eyes from the sun. Don’t forget the bug repellant as well. 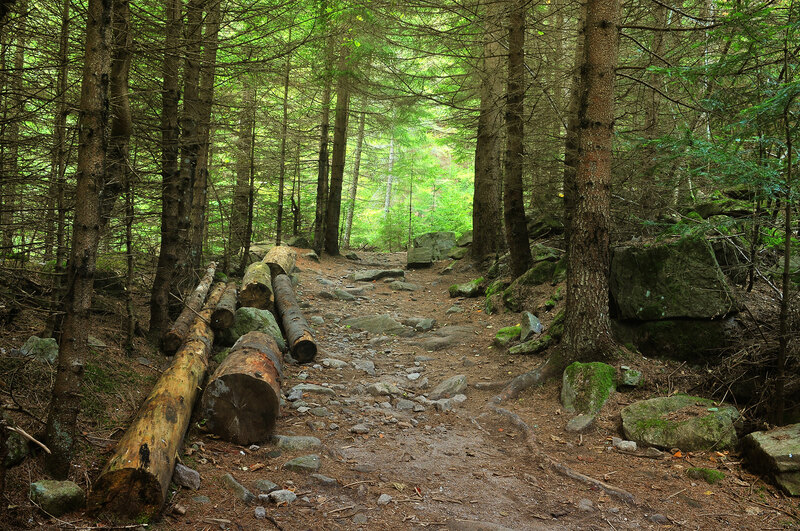 Avoid using scented soaps, perfumes, and deodorants before heading out for your hike, as they can attract bugs. Understand and plan for high altitudes. We love being located in the Sierra Nevadas. They make for some stunning views and great trails. However, don’t underestimate the high altitudes. Altitude sickness, also called mountain sickness, can be a risk, especially if you’re going to be physically active and aren’t used to being in high elevation areas. We want you to have a great time on your visit to Lake Tahoe, so if you’re not acclimated to high altitudes or have existing health concerns, we recommend consulting with a doctor before making the trip and heading out on a hike. Before heading out for your hike, be sure to get some rest in one of our comfortable suites and fuel up with our complimentary breakfast. After a long day exploring the beauty of Lake Tahoe, our hotel offers delicious food options, a pool, massages, Happy Hour, and more to help you unwind and relax after hitting the trails.